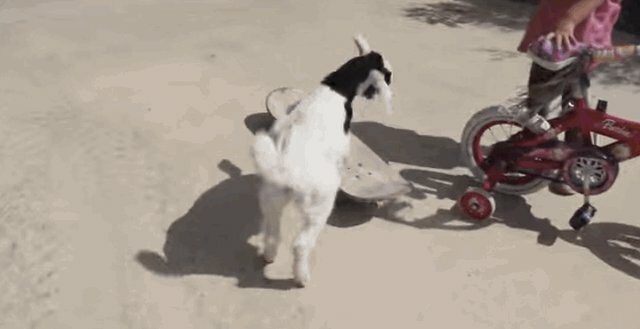 Lily the goat is a total kid - literally. And, as kids often do, she loves to play and have adventures with her friends. 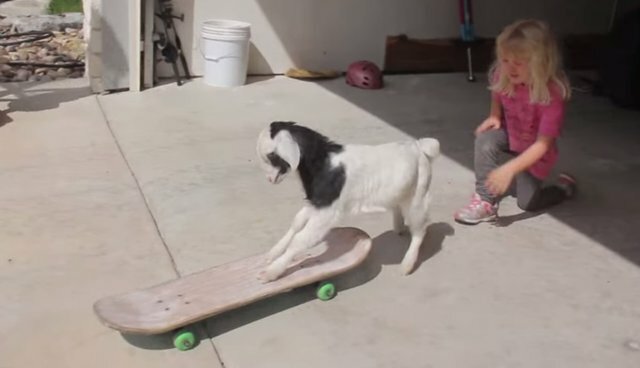 Her latest adventure involves learning how to skateboard with ultimate goat style. Lily's a total natural, obviously, and is pretty proud of her rad deck. Sometimes, after she bombs a gnarly hill, Lily has to take a moment to celebrate just how stoked she is. 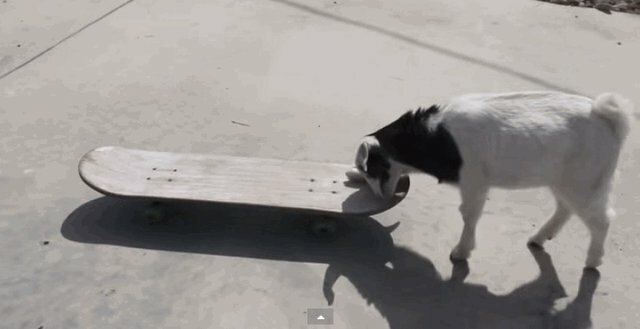 But then it's back to skateboarding! And occasionally after a long skate sesh she just wants to have some bonding time with her human! Keep up the hard work, Lily! 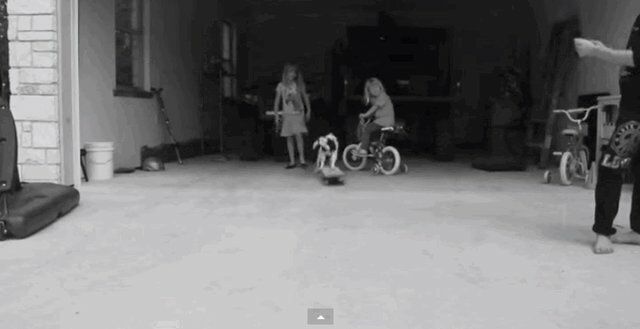 You'll be on your way to ollies and nose grinds in no time!